How about the fact that Obamacare is extremely vulnerable to fraud? …the GAO report showed that federal auditors 11 out of 12 times were able to gain subsidized coverage with fictitious applications, three of the successful applications never provided citizenship or immigration documentation. The investigators in each case were able to obtain $2,500 or around $30,000 annually in advance premium tax credits. 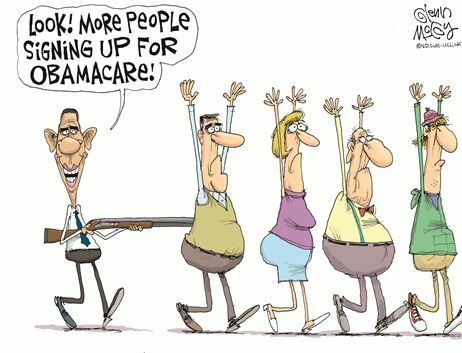 And what about the fact that the Obamacare co-ops have been a big flop? Nonprofit co-ops, the health care law’s public-spirited alternative to mega-insurers, are awash in red ink and many have fallen short of sign-up goals, a government audit has found. Under President Barack Obama’s overhaul, taxpayers provided $2.4 billion in loans to get the co-ops going, but only one out of 23 — the one in Maine — made money last year, said the report out Thursday. Another one…was shut down by regulators over financial concerns. The audit by the Health and Human Services inspector general’s office also found that 13 of the 23 lagged far behind their 2014 enrollment projections. Or what about the fact that deductibles have increased under Obamacare? A survey released earlier this week by the Kaiser Family Foundation found that..deductibles have risen almost three times as fast since 2010 for employer-sponsored plans. And should we care that Obamacare has meant rising health care costs? …the actuaries estimated that health spending that year jumped by 5.5 percent, a bigger rise than the country had experienced in five years. …The actuaries cited three main reasons they think health spending is set to tick up. One is the aging of the population… Another is the improving economy… But the third, and a big one, was Obamacare’s coverage expansion. All of the aforementioned things are contrary to what Obamacare supporters promised. Though since I focus on policy rather than politics, I’ll take this opportunity to point out that higher deductibles in some ways are a good thing. Which is why I’ve defended Obamacare’s Cadillac tax. But now let’s look at two additional Obamacare developments. And both represent very bad news. First, new scholarly research shows that Obamacare will be bad news for all income levels, and even will be of questionable value to those getting big subsidies (h/t: Marginal Revolution). …the average financial burden will increase for all income levels once insured. Subsidy-eligible persons with incomes below 250 percent of the poverty threshold likely experience welfare improvements that offset the higher financial burden, depending on assumptions about risk aversion and the value of additional consumption of medical care. However, even under the most optimistic assumptions, close to half of the formerly uninsured (especially those with higher incomes) experience both higher financial burden and lower estimated welfare. In other words, people generally were making sensible choices when they had some degree of freedom. 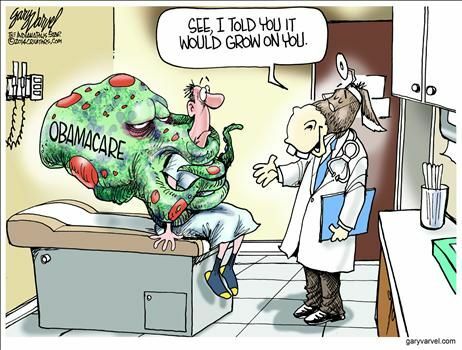 But now that they’re being coerced into Obamacare, many of them are worse off. Even in many cases if they’re the ones getting subsidized! Second, we now know that President Obama’s promise to lower health insurance premiums by $2,500 was laughably misleading. And keep in mind that Obama’s claim of big savings was not a one-time, off-the-cuff comment. As you can see in this video, it was a pervasive part of his campaign for further government control of the health care system. But the real story isn’t prevarication by a politician. That comes with the territory. The real issue is that our healthcare system is more screwed up because government now is playing a bigger role. And keep in mind that fixing the problem means a lot more than simply repealing Obamacare. We also need to deal with spending programs such as Medicare and Medicaid and address tax preferences and regulations that encourage over-insurance. After all, never forget that our real healthcare crisis is a giant government-caused third-party payer problem.